Opponents have labeled the current proposal to lease the network as “privatization.” ILSR strongly disagrees. The options being considered by Tacoma will ensure public ownership - the lease to a partner is no more privatization than allowing independent service providers to use the network is privatization. Note that some of those who label the leasing arrangement as “privatization” also vehemently opposed the network directly delivering services in the way that Chattanooga, Wilson, and Lafayette do, among others. That approach also could have improved the finances of the network. We are disappointed that the network faces this tough decision, but the lessons learned from early open access pioneers like Tacoma have been essential to advancing a model in which we continue to have faith. One key lesson is that the open access approach has to be grounded in a feasibly financial model and that does not describe Click!’s present status. The open access ISPs on Click! have achieved a collective take rate of less than 20 percent of the addressable market. Very few networks can succeed financially with so few subscribers. Thus, we believe moving ahead with a leasing arrangement is a prudent course. We dug deep into the history and the debate in our four part series “The Tacoma Click! Saga of 2015,” to examine the challenges that faced the community and their municipal network. The network has never been self-sustaining but it’s nearly impossible to know the full value that the network has served in jobs, educational opportunities, or other “soft benefits” that have generally improved livability in the community. A conservative view of jobs generated, at least in part because of the Click! network, includes those created when more than 100 companies relocated to Tacoma after the city developed Click!. As a result, approximately 700 new positions cropped up in around 18 months. That was documented in 2001; since then, the city's trajectory has continued north. Tacoma’s population of approximately 213,000 has managed to overcome similar obstacles for more than 20 years — TPU deployed the coaxial cable network in the 1990s and has maintained infrastructure that offered Internet access and cable television service to the public. At the time of deployment, the network was one of the fastest in the U.S. and TPU has also used the network for smart metering, which also benefited electric customers. While 115,000 premises are currently connected to the open access network, there are still areas of the community where Click! does not extend to connect residents or businesses in the TPU service area. In the spring of 2015, community leaders began discussions to lease out the network to a sole provider for a 40-year term. The contentious issue split the city’s leadership. Those who favored the lease option expressed concern over the network’s financial viability, while others simply felt the strain of managing and operating a municipal cable network in competition with Comcast. Grassroots support from citizens influenced elections and the decision of the city council to table that option and take a step back. By the end of December 2015, the city council unanimously voted to keep Click! and pursue what they called the “all in” option, which would focus on upgrades, including a transition to a gigabit offering. “All in” would improve the muni, rather than leasing the network to a third party. The plan would require significant investment and a change in operating structure making Tacoma the sole provider of Internet access and video. Because the fiber infrastructure was originally shared with TPU’s smart meter operations, the original cost allocations divided the operation and maintenance costs between TPU and Click!. When TPU switched to wireless smart meter applications and no longer needed the infrastructure to the same degree, the city reassigned cost for O&M, greatly increasing expenses for Click!. Advocates for the network argue that the shift unfairly put too much burden on the fiber network, placing costs that were actually needed for the utility into the telecom portion of the budget. Tacoma’s decision to invest in the network has been cited as one of the city’s investments that helped turn it around from half a century of economic economic difficulties that began after World War II. As part of a 1990s economic development plan, Click! helped Tacoma improve its reputation as a livable, modern city, and high tech companies have since taken up residence in the community. Prior to Click!, the cable predecessor to Comcast in the area was TCI and it steadfastly refused to invest in a modern network for Tacoma. . As is often the case, private sector investment came close on the heels of a public network infrastructure that created local Internet choice. Because municipal facilities use the publicly owned network, fewer public dollars go toward telecommunications budgets. Schools and libraries have better, more reliable connectivity for affordable rates. The city relied on Click! as a pillar for its downtown revitalization project in 2010, which included a new branch of the University of Washington and continued influx of tech companies. Tacoma’s Click! network, while struggling from the point of view of a narrow spreadsheet, spread indirect spillover benefits throughout the community. With the lease option now being considered, the infrastructure will still belong to the people of Tacoma and will continue to expand, two main objectives that will allow the city to retain control over the future of Click!. When the city released its RFI/Q in March 2018 to explore options from interested parties, they also included a list of 12 policy goals that respondents would need to adhere to for consideration. The city engaged CTC Technology & Energy to help them review responses and narrow down the field. Over the past year, experts have examined proposals, compared them, and held them up to Tacoma’s policy goals. Two finalists include a provider that is currently offering services via the network, Rainier Connect, and ISP Wave Broadband. Wave, formerly a regional company, combined with ISPs Grande and RCN in 2018; the consolidated entity is part of TPG Capital, headquartered in Fort Worth, Texas, with assets of approximately $103 billion. Both companies plan to expand the network and all new assets will belong to Tacoma, rather than the companies. Each has agreed to adhere to the city’s policy goals, including network neutrality, low-income affordability, and competition, with a few variations between plans. Both partners guarantee that they will upgrade to gigabit speeds within three years. Each potential partner has agreed to a partnership for a 20-year term, followed by two 10-year extension periods. 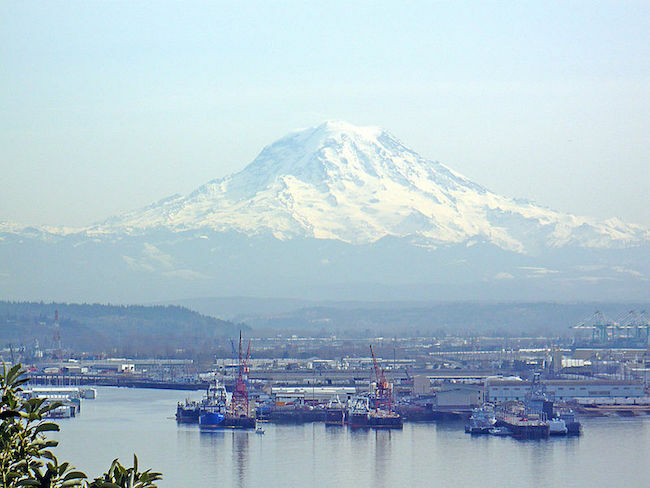 The potential partnerships are similar, but CTC has recommended that Tacoma continue negotiations with Rainier Connect rather than Wave Broadband. While both term sheets and potential partners are strong, we recommended to the Council and Board that they proceed with final negotiations with Rainier Connect—based on its substantially higher financial offer and some stronger terms, including a much more robust oversight role for TPU in the event that the partner wants to sell or transfer its rights under the contracts to operate Click!. Wave’s lease offer begins with $1.5 million annually, and specifies that $500,000 will be applied to the ISP’s electricity costs. Rainier offers $2.5 million the first year and offers to incrementally increase their lease payment to $3 million as of the sixth year. Additionally, Rainier promises a net revenue to TPU of $2.5 million increasing to $3 million, while Wave promises a steady $1 million to TPU. Both promise to invest $1.5 million into the network each year. While the offers have many close similarities, Wave and Rainier take conflicting approaches on future ownership. If Wave wants to transfer their lease, TPU can only object based on “legal, technical, and financial capacity” of the entity to which Wave wants to hand off the lease. Rainier Connect, has agreed to those same conditions but will also allow TPU to stop the transfer if the transfer would violate any of the 12 policy principles that Tacoma has developed for the network. The two companies also look at competition differently. Wave has agreed to not to sell to any entity that already possesses 33 percent or more of the Click! service area while Rainier Connect will commit to a lower figure of 25 percent. Click! has worked as a price control tool on ISP giant Comcast in Tacoma. If Wave were allowed to transfer their interest in the infrastructure lease to a large contender such as Comcast, rates would increase and subscribers would suffer. There would be no reason for a “most hated company in America” to work to keep subscribers happy with no other high-speed option. Check out the CTC term sheets to review and compare more details of the Rainier Connect and Wave Broadband offers. Schrier Stays in Seattle, Fiber Network to Follow?